Automobile transportation options have mushroomed in recent years. No longer is it the simple choice of buying or leasing a car for long-term use or renting one for short-term use. Ride-sharing services like Uber and Lyft are providing options for those who don’t want to own a car at all, Zipcar and other services are covering the very short-term rental market, and peer-to-peer car sharing services such as RelayRides and Getaround are allowing auto owners to rent out their cars when they are not being used. These services have not collectively taken huge dents out of auto sales yet — but they are likely to in the future, and auto manufacturers are deciding how to address the issue. Susan Shaheen, a UC Berkeley engineering professor and transportation expert, suggests that every vehicle that enters into car sharing full-time replaces four to six sales of new cars and delays up to seven more. Reading the writing on the wall, most auto manufacturers are launching pilot programs to decide how to enter these markets without cannibalizing their sales. 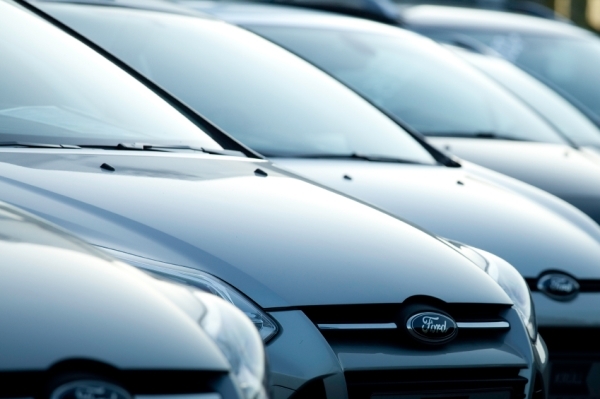 Ford chose the route of helping car buyers rent out their cars by teaming with Getaround.